Mydestination Nigeria is your one stop travel guide and business directory. Our local experts have made a list of clubs, lounges and bars where you can experience Nigeria's nightlife. Nightlife in Nigeria is unlike anywhere else. Vibrant, explosive and chaotic, wherever you find yourself, you are sure to get caught up in the infectious rhythms and beats of the various clubs and bars that Nigeria has to offer. 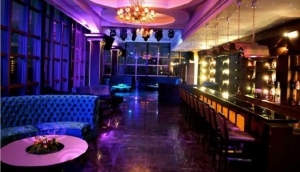 Whether you are after a sophisticated evening with a cocktail or an all-night party, our guide to Nigeria nightlife will provide you with all the information on clubs, bars, live music, pubs and lounges you need. So put on your dancing shoes and jump right in!